Ensuring everyone feels they are part of our community. Meeting more of our social, recreational, and everyday needs within the neighbourhood. Actively communicating within and among our community members. Making volunteering in the community accessible and easy. Bringing more openness and clarity to community structures and processes. Between June and September 2018, we have held a series of 14 community conversations involving 164 people on how we might action these strategies. The "Conversations Summary" button links to a document that provides the latest draft summary conversations. Many residents have stepped forward and taken a lead on subjects that matter to them, and that support these strategies. We have many dynamic people who are working together to build our community. We presented our final vision document at our Annual General Meeting in January 2019, which can be downloaded here. 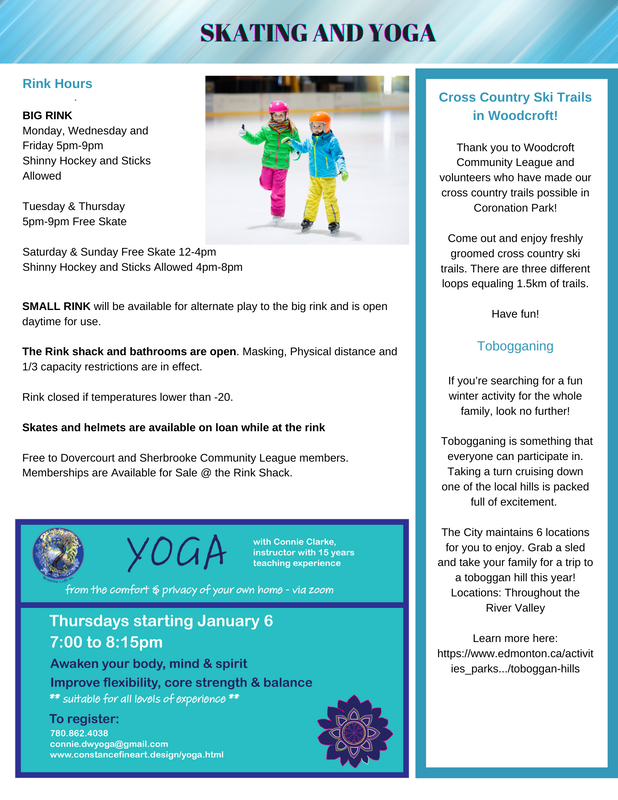 In the meantime, strategies and priorities are taking flight, such as a walking group, job jar initiative, inclusion strategies, infill strategies, collaborating, with other organizations, a community winter carnival and more. A huge thanks to the Edmonton Federation of Community Leagues (EFCL) for supporting us through this process. In spring 2018, Dovercourt was selected by the EFCL to pilot a project to develop a process for setting a vision and plan for the community. Their support has made this initiative possible.